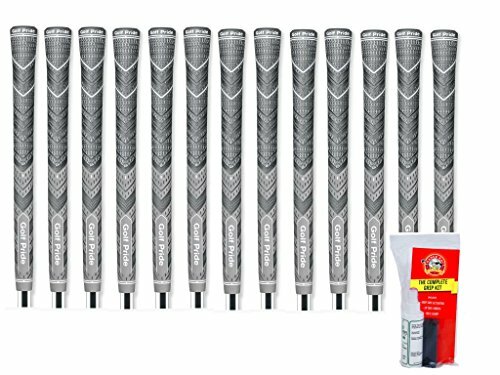 The MCC Plus4TM is a tour-proven, hybrid golf grip featuring a larger lower hand and new softer rubber material. The MCC Plus4 simulates 4 additional wraps of tape on the lower hand to encourages lighter grip pressure, reduced tension, and increased power. Included with the 13 grips is Range Rat Golf's 8 oz. bottle of grip solvent, grip tape, and a rubber shaft clamp. Regrip your golf clubs right at home!! Grip Kit including grip tape, solvent, and rubber shaft clamp.